Posted on September 8, 2017 at 9:00 am. Septic systems – they are such an important part of plumbing, but unfortunately, not many people know too much about them. As a homeowner, part of their responsibility falls on you too. You should keep them in a good condition, so that you can avoid unnecessary trips to a local plumber in Chattanooga. What if you don’t? Well, you would suffer from blocked drains, unpleasant odors, maybe even leaks, all of which would negatively impact the investment that you have put in your home. You sure don’t want that, do you? If you don’t ensure proper maintenance of your septic system, then eventually there would come a time, when you would have to replace it, incurring significant costs. Lack of maintenance can also cause your system to malfunction, which would contaminate the surrounding groundwater that you may be using for drinking. So get your septic system maintained regularly by a local plumber in Chattanooga. Talk to them, and they would come up with a proper schedule for you. How does a septic work? Generally, a septic system features four primary components: a septic tank, a pipe connecting the tank and home, a drain field, and soil. The microbes present in soil remove most of the contaminants from wastewater before it reaches groundwater. The wastewater is made to exit from the home’s plumbing network through the connecting pipe which transfers it to the septic tank. The septic tank is a watertight container, usually made from fiberglass, concrete, or polyethylene. This tank is buried underground. For as long as the solids don’t settle down, this tank holds of all wastewater. The solid materials form sludge like substance, whereas grease and oil float to the surface. In some instances, solid materials may get partially decomposed as well. The septic tank features an outlet in the shape of a T and compartments which prevent the sludge from leaving the tank. In some instances, a local plumber in Chattanooga would also recommend screens so that the solid waste doesn’t enter the drainfield. The liquid waste is passed onto the drain field. But how do you remove the solid waste? Get your tank pumped by a local plumber in Chattanooga regularly; the best and the most affordable way of ensuring that your septic tank remains in a good working condition. If the tank is newer, then it would have a lid at the ground surface, which makes the tank easy to locate, inspect and pump. The wastewater from the tank is passed to the drainfield where it is further treated by the soil. Every time new wastewater is pushed into the drain field, the existing wastewater is pushed further ahead for more treatment. If the drainfield has liquid in too much excess, then it can flood the sewage, mix up with nearby clean water sources, or clog the plumbing network, which would then have to be dealt with by a local plumber in Chattanooga. If the drainfield does fail, then you can also make use of the reserve drainfield, which is a requirement in many states. A new system can be deployed in this area. Talk to a local plumber in Chattanooga, and they’ll provide you more information. The wastewater from a drainfield is passed to the soil where the final treatment takes place. In the process, most of the viruses, bacteria, and other contaminants are removed. Are there any alternatives to a septic system? 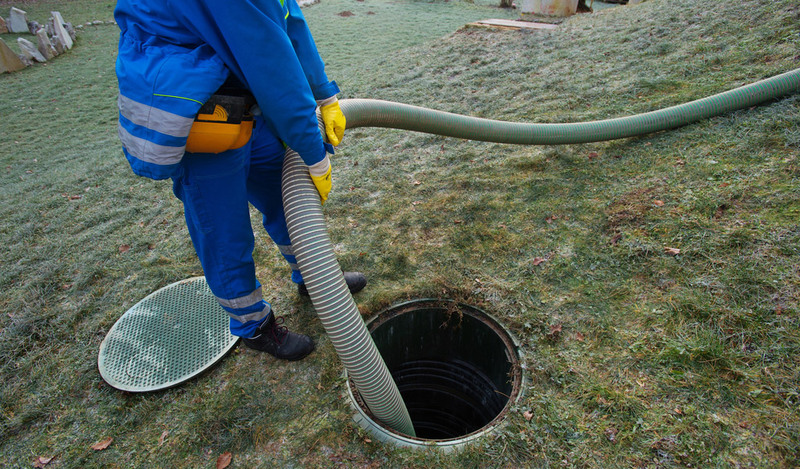 Any local plumber in Chattanooga can offer you an alternative to septic system, which are usually required when the soil isn’t suitable, when an area is already congested by too many septic systems or when the systems are near groundwater or surface water. Alternative septic systems make use of newer technologies to improve treatment, but additional maintenance is also required. Generally, these systems use peat, sand, or plastic media as a replacement to soil. Aerators, disinfection devices, lagoons, pumps, float switches, and other components may also be incorporated as a part of these systems. Just like a typical sewer system, you should also get an alternative sewer system inspected regularly by a local plumber in Chattanooga. What’s all the hype about maintenance? We’ve mentioned so many times that you should get your septic systems regularly inspected and maintained by a local plumber in Chattanooga. But why does this need arise? A properly designed and well maintained septic system mitigates and eliminates most of the threats which contaminants in household water pose to health and the environment. But if these systems aren’t maintained and monitored regularly by a local plumber in Chattanooga, they would fail. If your septic system fails, any local plumber in Chattanooga would repair it for you, but the process generates significant costs, which you can easily avoid by ensuring regular maintenance of your current septic system. How frequently should you get it pumped? That depends on the system size and residents in your house; a local plumber in Chattanooga can advise you more. And by the way, if you don’t maintain you’re septic, you may have to bear legal liabilities. A well maintained septic system ascertains that wastewater is treated properly before being completely released in the soil. This protects surrounding water resources, and ultimately your health. How frequently should you get the tank pumped? Generally, your tank requires pumping if the scum layer’s bottom is within 6 inches from the bottom outlet or if the sludge layer at the top is within 12 inches of the top outlet. A local plumber in Chattanooga can guide you better. How can you keep your septic system protected? Regularly get your system inspected by a local plumber in Chattanooga. Also ask them if the tank should be pumped. Use water in an efficient manner. Don’t dispose of hazardous waste materials in sinks. Take good care of the drain field; reach out to a local plumber in Chattanooga for advice.